I spoke to a group of professional legal assistants today about social media marketing. I deliver presentations and workshops on this topic to lawyers a lot. This was my first time presenting to a legal support staff audience about all things social. And it got me thinking about one of the core elements of any solid social marketing plan: the responsible party. The RP is the person(s) who carry out the social marketing plan. Today’s epiphany: support staff members are ideal candidates for the RP role. Specifically? Give blog posts and other content intended for consumption via social media (including website content) to legal assistants and paralegals to review for you. Why? Because your content should convey information in clear-to-understand, non-legalese language that is interesting (and not boring). Your support staff is ideally situated to give you feedback on whether this goal is being achieved, for at least a couple of reasons. First, they likely have some general knowledge about the content so know what you’re likely trying to convey — and thus can identify if you’re missing the mark. As well, they’re not lawyers. To put it bluntly, they’re probably more capable of placing themselves in the shoes of your intended audience and assessing the content from that perspective. Assign the posting to a support staff member. Productive social media marketing requires a diligent and consistent presence. Most lawyers I work with on marketing freak out about the perceived time commitment. So? Focus on creating content and give someone else the job of posting. Train support staff to contribute to content creation. If someone in your office is a good writer and you’ve established a clear social media game plan, then let him or her handle the Facebook posts. Tackle Twitter. Research blog post topics and start filling out the editorial calendar. Draft post outlines. Review the posts after you’ve written them for readability and likability. Note that I’m not suggesting that you have a paralegal write a post and publish it as your work. For obvious reasons, this is a bad idea. Finally, an organized process is crucial if you’re delegating any aspect of social media activities. Use a cloud collaboration app like Trello, Tracky or Flow to manage your social media marketing process. This keeps the various responsible parties coordinated and on-task. 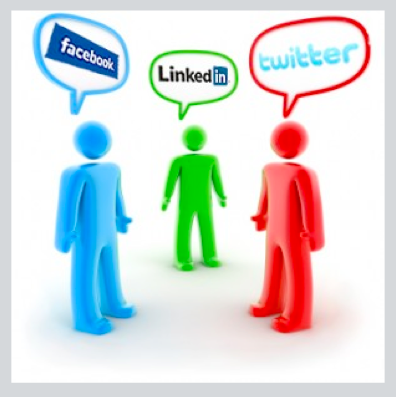 Someone on your staff may just be the ideal responsible party for carrying out your social media marketing plan.